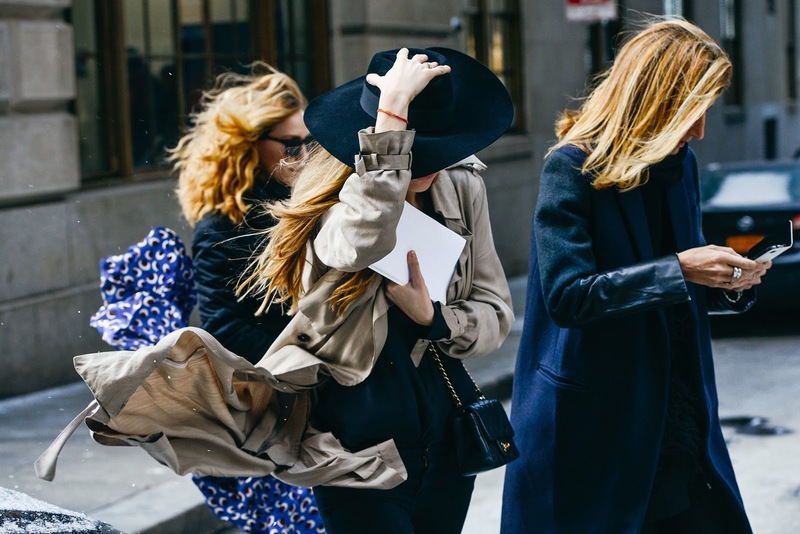 Time for the 2nd bi-annual street style lessons that fashion month graces upon us. As record freezing temperatures struck New York as the fashion scene was in full swing, it called for creative layering amongst both the attendees and more skillful than creative layering, by the photographers. And may I add, those photogs are the real winners as wind chills dip below zero, and the city streets turn into ice rinks. Like last time, here is Tommy Ton's incredible photography explaining four important lessons one can only learn through prime street style. 1: Textures are the best way to look camera ready in sub zero weather. A fur trimmed hood mixed with mesh? Well, d-uh. The secret? Tights and thermals. 2: The opposite of a texture party? Classics par-tay. They'll never fail you. Boy meets girl sartorial workings won't either. Bonus points for keeping your leather boots spiffy. 3: All you need in life is a camel coat and a dashing smile as displayed by some favorite frenchies. Caroline's bedhead? That's all up to you. 4: Thanks to fashion's leading QB, helmets are better than beanies.